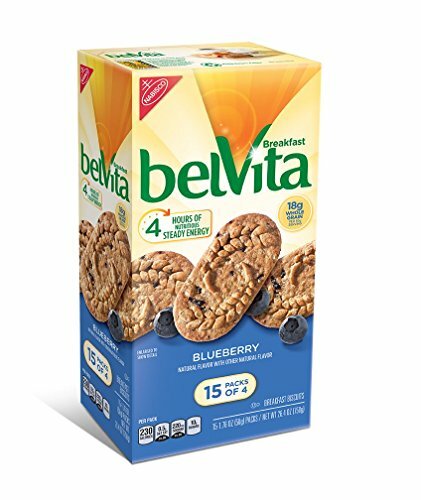 belVita Breakfast Biscuit, Blueberry, 1.76 oz., 15 Count | SleepyChef.com | everything breakfast! Start your day right with wholesome belVita Blueberry Breakfast Biscuits. These lightly sweet, crunchy biscuits are made with high-quality and wholesome ingredients, like rolled oats and real blueberries. The sustained energy provided by belVita Breakfast Biscuits comes from a combination of specially selected ingredients and a carefully controlled baking process that helps preserve the integrity of the grain. This means the carbohydrates from the grain are slowly released in your body, providing nutritious, long-lasting energy to help fuel your body for four hours. 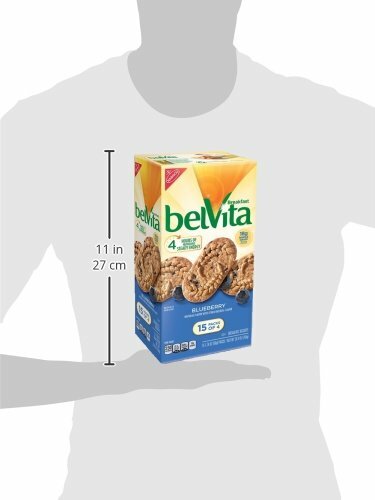 belVita Breakfast Biscuits are specifically portioned in convenient, individual packs to help you grab a breakfast option no matter what the morning brings. Enjoy belVita Breakfast Biscuits as part of a balanced breakfast with a serving each of low-fat dairy and fruit, such as low-fat Greek yogurt and berries. Tagged with: 1.76 Belvita Biscuit Blueberry Breakfast Count oz.